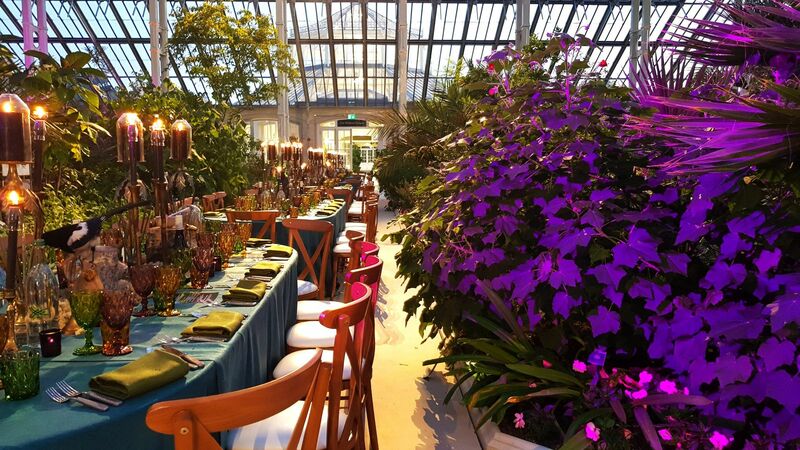 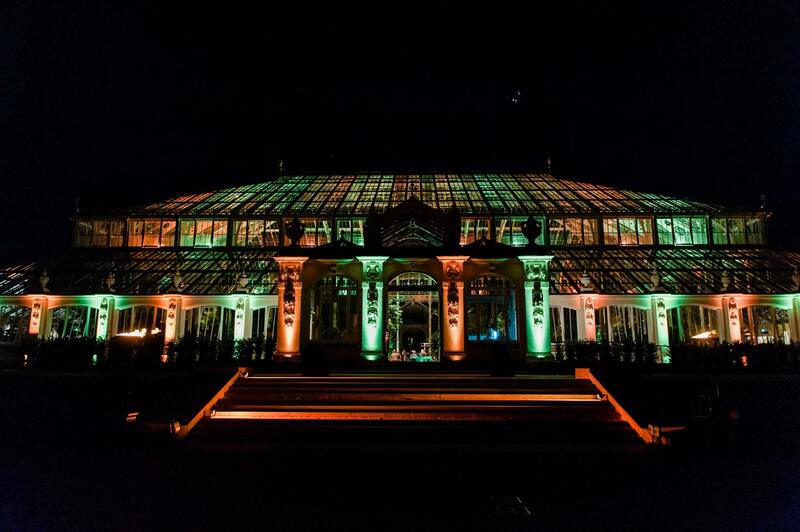 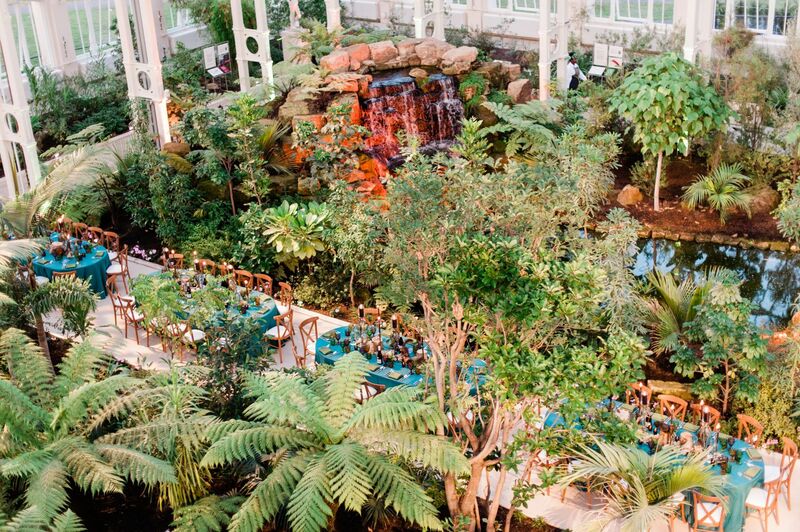 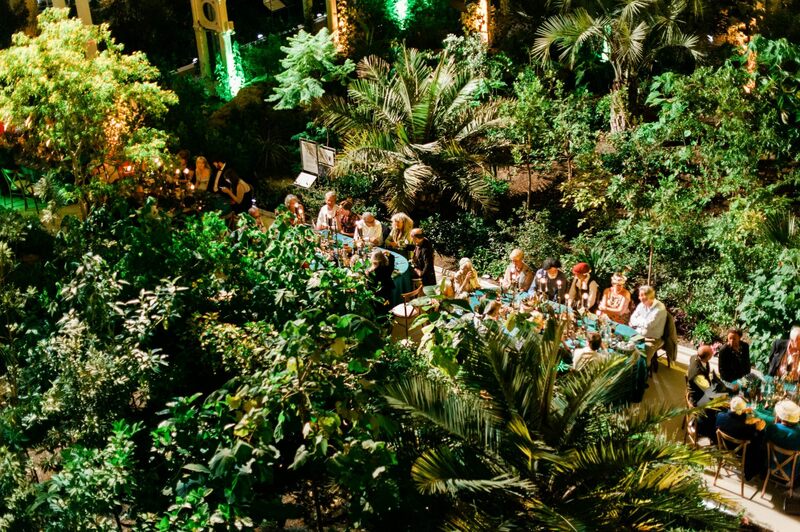 This summer saw the reopening of Temperate House providing the perfect location to host a joint 60th birthday celebration for 180 guests. 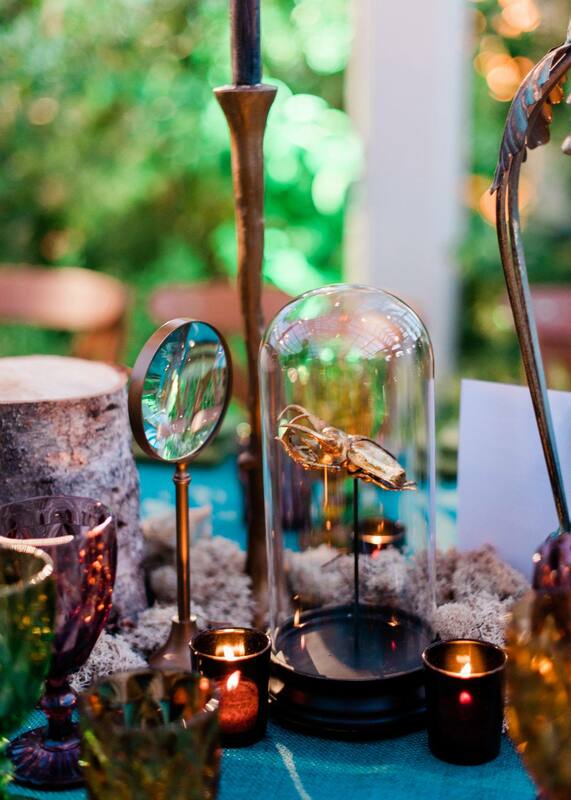 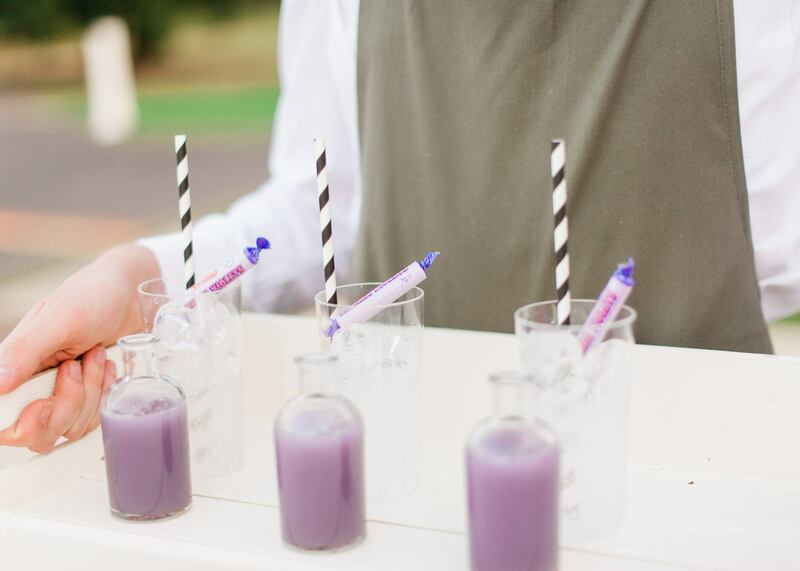 As guests arrived the waiting team dressed as pixies and elf’s served bespoke cocktails and four finger foods that played perfectly into the enchanted forest theme. 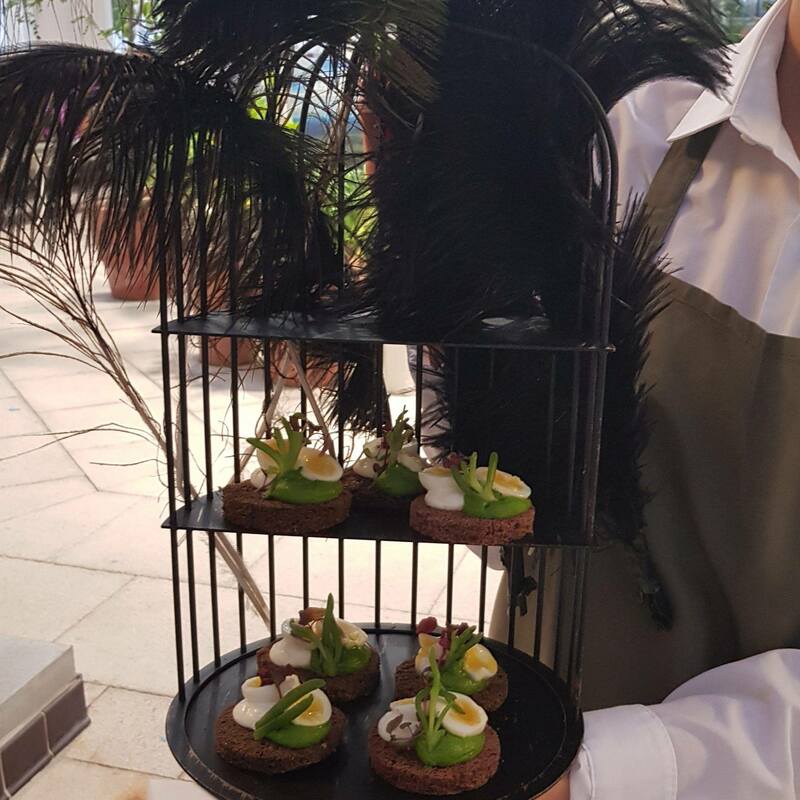 The finger food took on an earthy feel featuring Truffled wild mushrooms with cep ketchup on ancient grain croutes and Wild rabbit liver parfait with pickled roots on sourdough, beautifully presented on arched wooden platters and shelved bird cages adorned with peacock feathers. 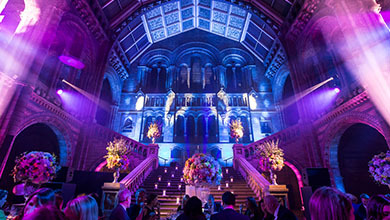 Guests mingled throughout the venues octagons taking in the magical scenery before moving into the main cross section for their sit down meal. 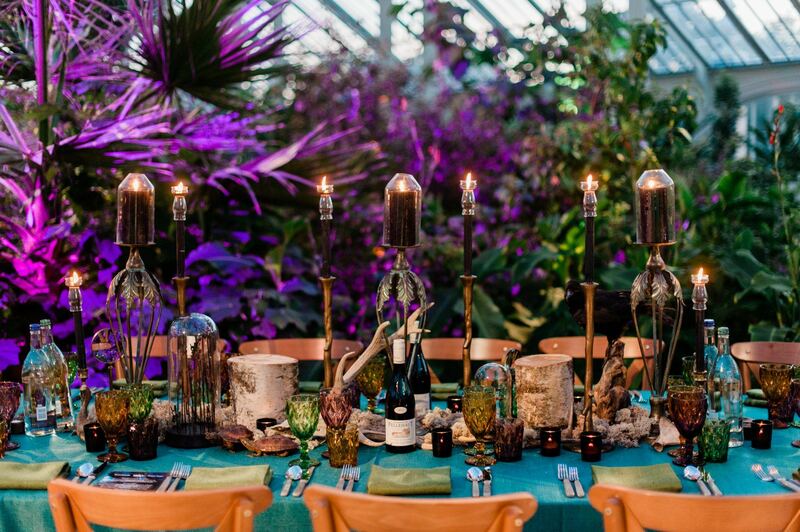 The table was embellished with crow feet candelabras, rustic logs plinths, vibrant mix-match glass wear and woodland taxidermy. 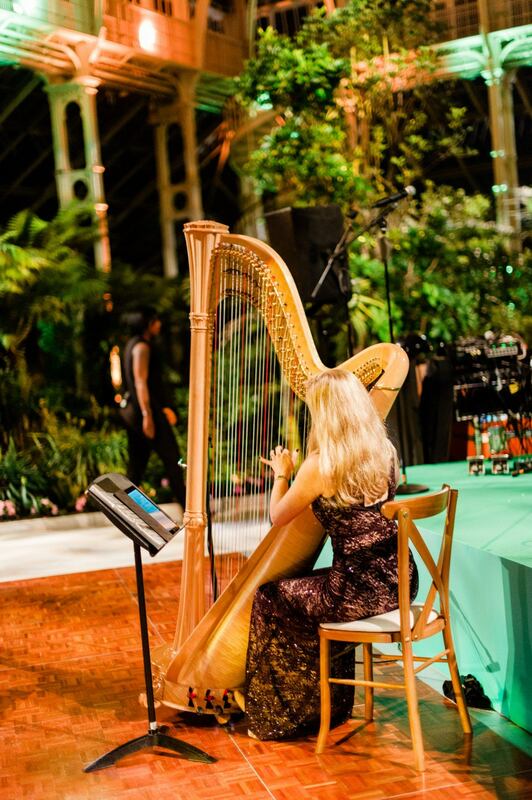 A harpist played as staff appeared in formation through the leafy vegetation with plated mains and sharing sides. 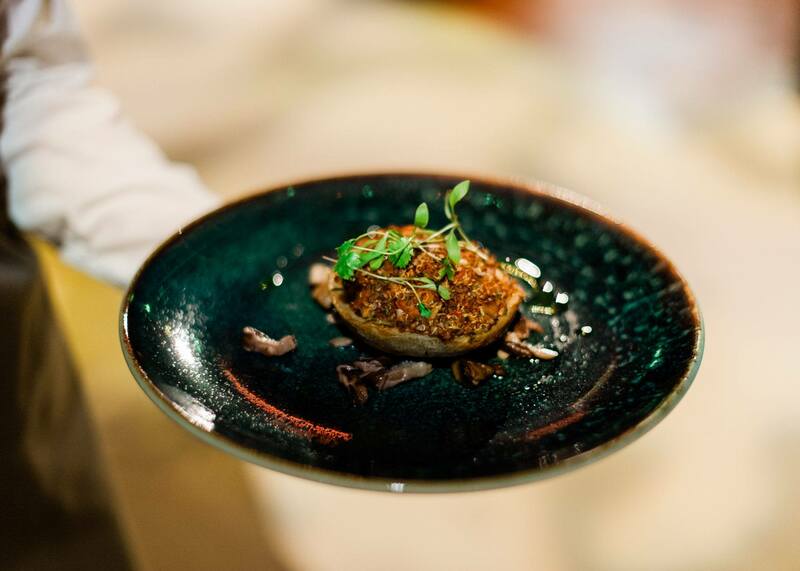 Guests enjoyed Oak smoked Pulled venison on top of alfalfa sprouts, red vein sorrel with a light jus glaze along with the vegan-friendly Quinoa Tabbouleh stuffed with artichokes and wild mushroom ragout. 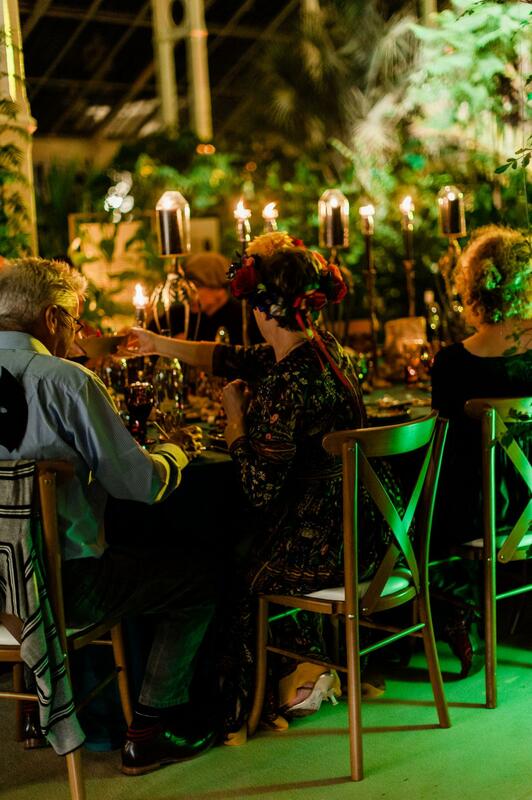 An assortment of sides included roasted and charred vegetables paired with mouth-watering condiments such as the popular fire roasted pepper and walnut puree and heritage beetroot hummus. 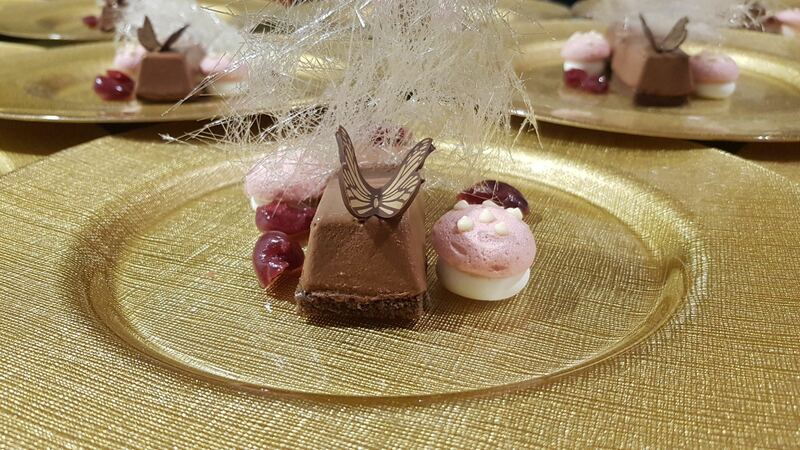 Dessert was an indulgent chocolate affair seeing guests tuck The Dark chocolate parfait plate with marinated cherries, magic mushrooms and chocolate butterfly decorations along with a vegan Dark chocolate avocado mousse with sugar webs, honeycomb and chocolate leaves. 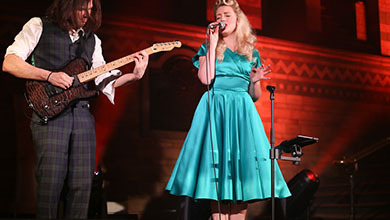 As the sun disappeared leafy projections scattered the floor, the five-piece band appeared on the stage and the guests left their tables to dance the night away. 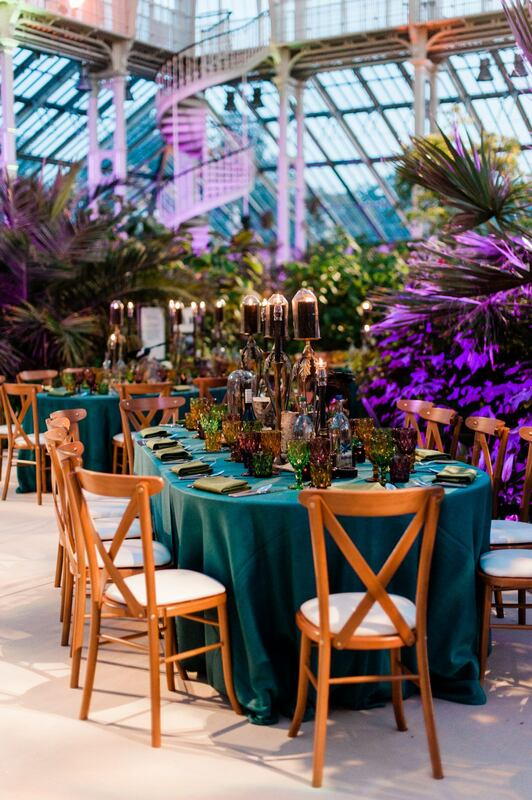 The intention of this happy couple celebrating their silver wedding anniversary was to ‘wow’ their guests with a superb menu; impressive enough to compete with their chosen venue, the magnificent Lancaster House. 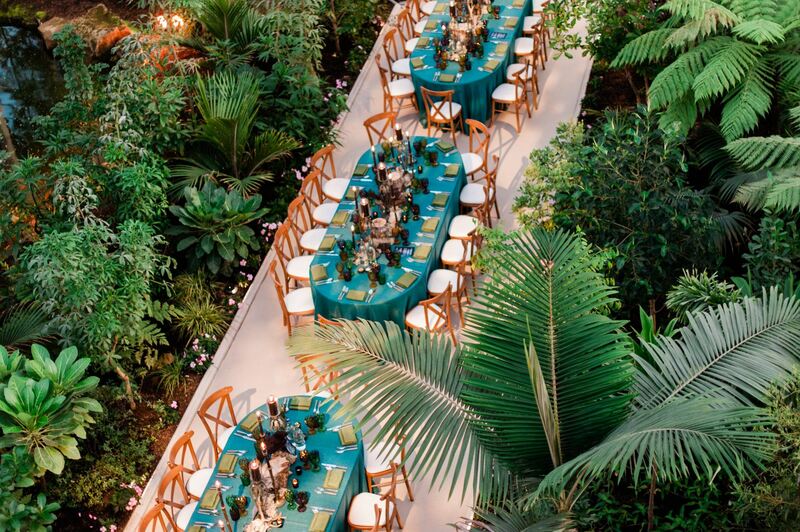 Guests dined on a delicious deconstructed prawn cocktail starter; a giant atlantic prawn on a slate accompanied by homemade lemon mayonnaise, chilli and tomato and worcester sauce jelly discs. 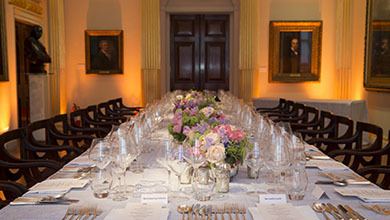 The inventive first course was followed by Buccleuch venison with chocolate sauce, savoy cabbage, fondant potato, pancetta shard and butternut purée and a dessert of pine nut and praline tart with candied olive ice cream.